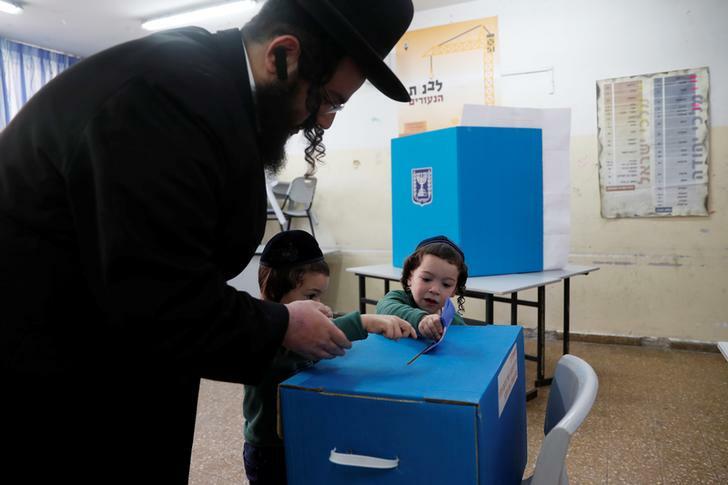 The Times of Israel reported that polling began at 7am on Tuesday in 10,000 polling stations across the country. A total of 39 diverse political parties are participating in the elections for the 21st legislature. However, this time it is a closely fought election between incumbent Prime Minister Benjamin Netanyahu and former army chief of staff Benny Gantz. Surveys show that Gantz’s centrist Blue and White party is slightly ahead of Netanyahu’s Likud party. But Netanyahu still has a favourable option of forming a majority coalition with other right-wing parties and retain his office. Despite reeling under a series of corruption allegations, Netanyahu is seeking a fifth term in office. If he wins, he would become Israel’s longest-serving leader surpassing founding father David Ben-Gurion. In the final days of his election campaign, Netanyahu vowed to annex settlements in the occupied West Bank if re-elected. The leader even dubbed himself as the underdog and warned that “the right-wing government is in danger". Despite the expected majority for right-wing factions in the 120-seat Knesset, Netanyahu said that President Reuven Rivlin would choose whichever party is the biggest if no prime ministerial candidate has sufficient number of recommendations from other party leaders to assemble a coalition. Netanyahu is likely to be indicted in three corruption cases, including in a charge of bribery. In the elections, viewed as a referendum on Netanyahu’s leadership, 10,720 booths are being set up across the country, including 190 in hospitals and 58 in prisons. Only soldiers, foreign envoys, prisoners and hospitalised patients are allowed to cast ballots away from the polling station assigned to their place of residence.